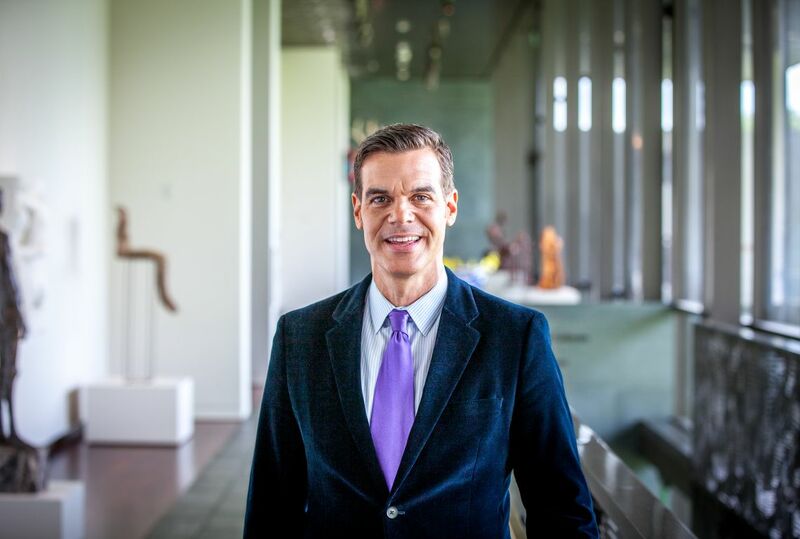 If you’re a frequent visitor to the McNay Art Museum, a follower of San Antonio arts and culture, or simply a person about town, you may know by now that the McNay has a new director. 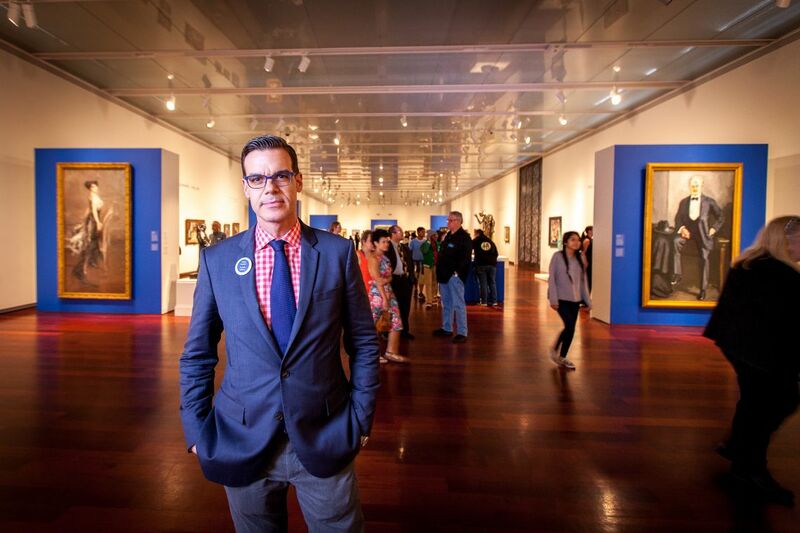 That director, Richard Aste — who is actually not so new anymore, having replaced 25-year director William J. Chiego back in September of 2016 — came to us with 15 years of innovative curating experience at the Museo de Arte de Ponce in Puerto Rico and, most recently, the Brooklyn Museum. A third-generation Latin American whose family emigrated from Peru to Miami when he was very young, Aste, early and often, experienced art around the world — a pivotal perk of his parents’ jobs in the airline industry. It was a transformative experience at age 10 — in Florence with a Botticelli — that helped Aste realize he was called to work in the realm of art, driven to chase and share the ineffable, transcendent magic that great works of art possess. After undergraduate work at the University of Michigan, Aste earned his PhD in art history at the City University of New York. He has since garnered a reputation, which is part of why he’s here, as an inclusivity-minded, socially conscious curator, a gifted art historian, and a charismatic cultural leader. 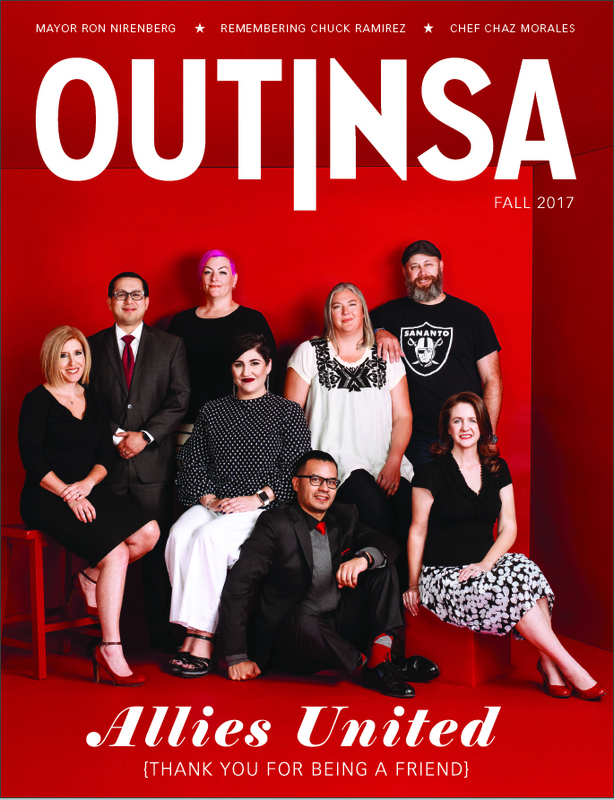 In August of 2016, I interviewed Aste for Out In SA’s sister publication the San Antonio Current, and he laid out his plans to build upon the successes of his predecessor and re-envision the McNay as a truly welcoming community center — while continuing to pursue and exhibit the very best in modern and contemporary art. For Aste, owing in part to his stint at the progressive and community-driven Brooklyn Museum and at least in part to his status as an immigrant and member of a few minority groups, a museum should be responsible and responsive to all segments of the population it serves. A museum, after all, should be a safe place where everyone feels challenged to explore, think, and be inspired; it should be a place where everyone feels a sense of representation and belonging — not just members, tourists, and patrons of the arts. Aste reports that he fell in love with San Antonio back when he first visited. Now, owing to his charismatic, generous personality and servant-leader tendencies, San Antonio is smitten too. 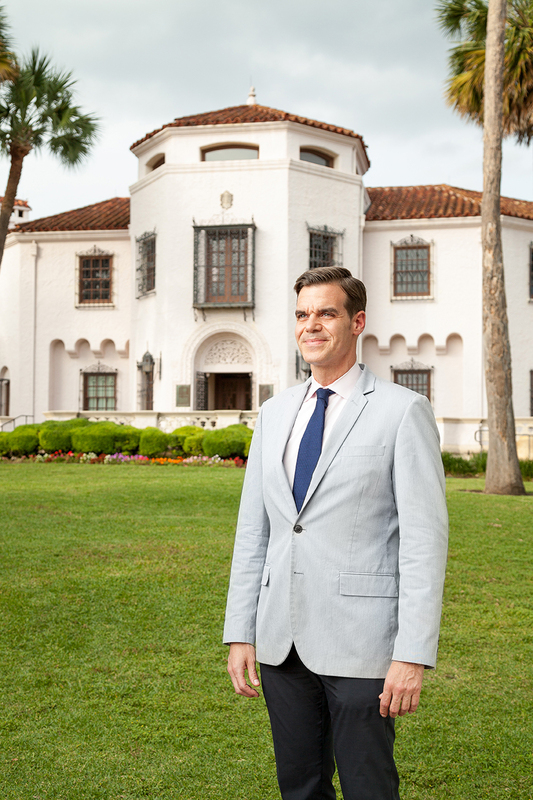 A few weeks ago, just over eight months into his time as director of the McNay, I sat down with Aste again. As we talked — he’s easily one of the most engaging and pleasant interviews in town — I sought to find out about his experience with the museum and San Antonio thus far. But, I was also looking to understand more about the man himself. To this end, Aste has spearheaded a more robust and relevant social media presence, has seen that all new exhibits have information in English and Spanish (in addition to a new Spanish micro-website), has the education department reporting directly to him, and has revamped the look of the Tobin Exhibition Galleries. 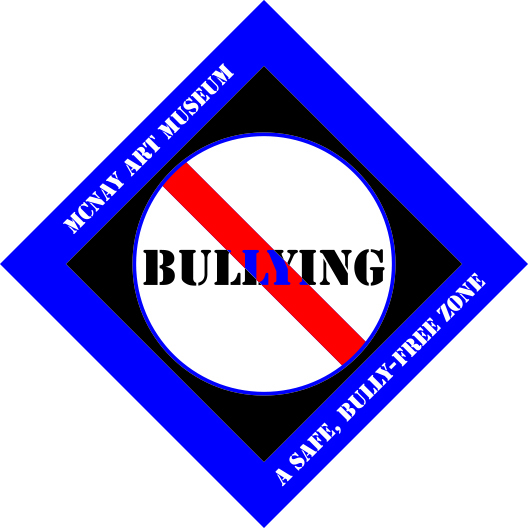 He has launched the “McNay Cares” video series, to lend public support to important causes from Spirit Day to Breast Cancer Awareness Month, participated in Texas Public Radio’s “Dare to Listen” campaign, to help establish “an atmosphere where civil, civic debate is valued, where differences are respected and common ground is celebrated,” and will oversee the launch of the “Mi McNay Es Su McNay” anti-bullying initiative this summer. This is all on top of organizing the magnificent “Monet to Matisse: A Century of French Moderns” exhibition, among many others forthcoming. Aste and company are also, admirably and shrewdly, focusing a great deal of energy on millennials and centennials (the generation after millennials, born from the mid-to-late-1990s and onward). 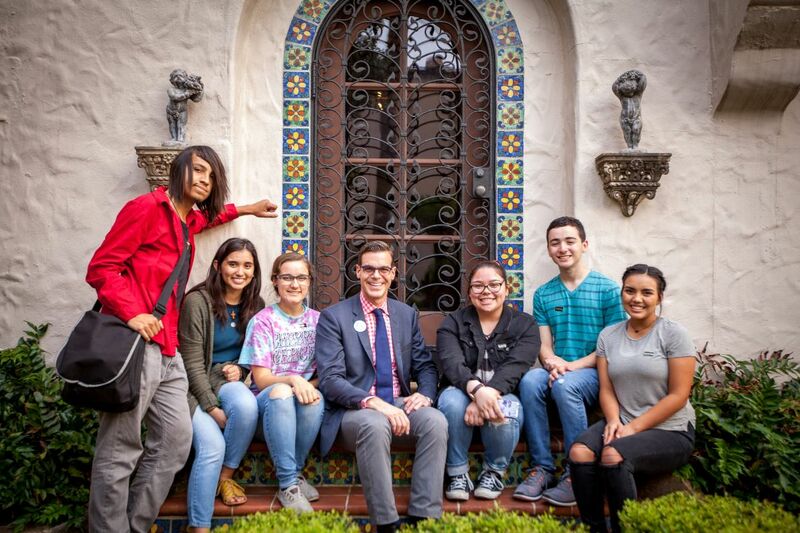 While teens and children already get into the museum for free, and the strong education department has long been a hallmark of the McNay’s engagement with the community, Aste knows they can do more. This heightened awareness of the perspective of younger generations, perhaps along with the fleshed-out social media presence, has already paid dividends. This year’s “Teen Night” boasted an attendance of more than 900 area teens, almost double the attendance from last year. After Aste shared his excitement about this summer’s third annual Pop-Up Exhibition dedicated to Texas artists, this fall’s Chuck Ramirez retrospective “All This and Heaven Too,” and a gender and identity exhibition the museum is working on (with input from the community) for 2019, we continued talking about the point of it all. As is the case for all of us, Aste is not defined in total by his professional proclivities and intellectual passions. Even a person with the drive and zest for his work that Aste possesses, is also a rich tapestry with singular desires, formative relationships, and the need to (at least occasionally) unwind from the grind of the daily mind. Aside from the rigors of a demanding and high-profile new position, Aste has been facing the task of adapting to a new home, after having (almost continuously) resided in New York City for 20 years. Aste said that he and his partner, Max Goodman, who is the Director of Original Programming and Development at Sprout (a network owned by NBCUniversal Cable Entertainment Group), have quickly and completely come to adore San Antonio. Goodman, for his part, hasn’t moved to San Antonio with Aste, as he’s obliged to stay in New York for his work, but has visited at every opportunity, including for a whirlwind first dance with Fiesta. Aste and Goodman have been together for five years, ever since meeting when the former moved into the latter’s building in Manhattan and they spied each other in the lobby. Then, in a story almost too cinematically New York to be believed, they deepened their connection the next time they met, in the laundry room, and have been together ever since. “Like me, he has described his job as the biggest platform he’s ever had to do the right thing. We are both very committed to advancing society forward. He does it through children’s programming … very thoughtful, sensitive children’s TV. 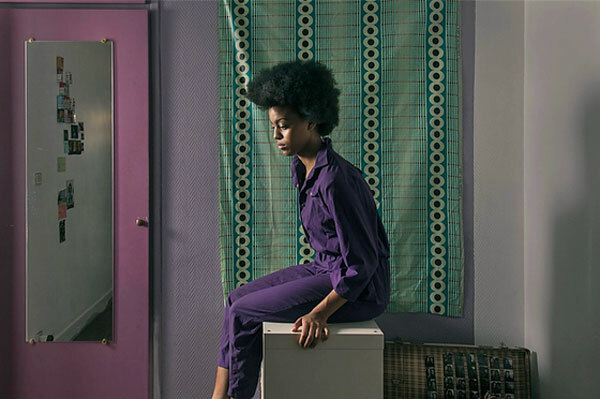 And, I’m doing it through the very best in the visual arts and communicating the power of those arts to the community at large.”Straight up: #goals. Apparently, his friendship with local chef extraordinaire Andrew Weissman hasn’t helped much. Even Aste’s mother lovingly observed the effects of his San Antonio diet on the fit of his stylish New Yorker clothes. Apart from his totally relatable and joyous struggles with San Antonio cuisine, we can trust Aste is assimilating nicely. He cited Blue Star, the Lone Star Arts District, Ruiz-Healy Art, French & Michigan, Cinnabar, and AnArte among his favorite art destinations so far; he and Goodman have taken up hiking in the Hill Country (in place of their old haunts in the Hudson River Valley); he’s conducted “many a breakfast meeting” at Taco Garage; and he and Goodman went to some 25 Fiesta events this year. What are three random/interesting things that you’d like our readers to know about you? 1. I am a very proud Hispanic, who wasn’t always proud to be Hispanic. When I was 14, I became a U.S. citizen from my native country of Peru. And, out of peer pressure growing up in an Anglo community in Miami, I changed my name legally from Ricardo Rudolfo Aste to Richard Rudolph Aste. Now, I often contemplate going back to Ricardo. As a fully realized 47-year-old, I am very proud of my Hispanic heritage. 2. My favorite subject growing up was math and I never get to explore it. The biggest source of contention with my partner Max is who is better at math. *SAT scores would seem to indicate it’s probably Max, but Aste loves him anyhow. 3. I am a big fan of Saturday Night Live. In particular, I have especially always been a champion of the women on that show, who somehow find direct access to my funny bone every time. In general, I am a big fan of women comedians, whose gift just seems somehow more special than that of the other gender.